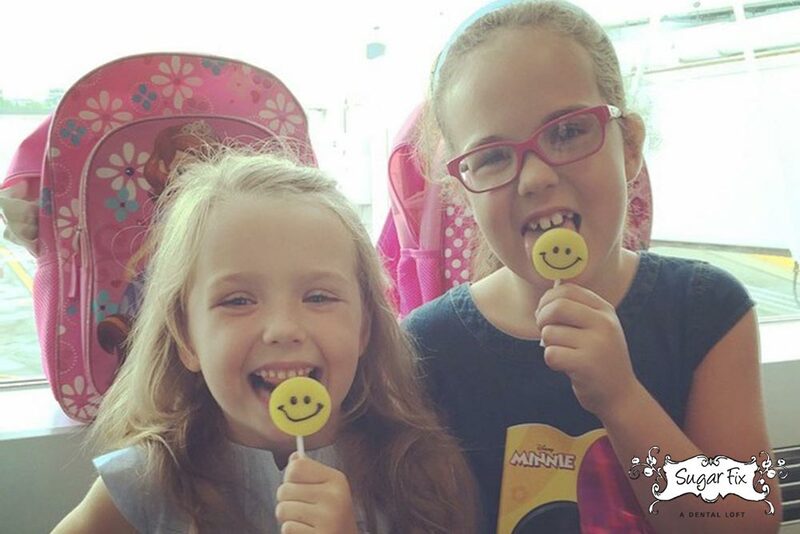 Paige & Morgan enjoying a smiling treat! The health of deciduous teeth, or baby teeth, is crucial when it comes to the mouth’s transition from childhood to adulthood. It’s great to bring kids into the office so that they may become comfortable with a dentist examining their teeth and a hygienist cleaning the “sugar bugs” every six months. Regular dental visits allow your dentist to envision how your child’s adult teeth may develop in the future. For example, Dr. Emery may recommend consulting with an orthodontist if she notices significant spacing or crowding of baby teeth, in hopes of preventing the child from needing full braces later in life. Additionally, we are able to take x-rays that will allow us to gather information about the patient’s mouth- including noting if the child is missing any permanent teeth and predicting if they will have wisdom teeth in the future. All of this information allows us to put together a plan for optimum oral health for the patient. A baby tooth that has decay, or a cavity, can be approached in a few ways. Sometimes, depending on the child’s age, we may be able to wait until the tooth falls out. However, if the tooth in question is one that we expect the child to have for a few more years, we will likely recommend removing the decay and filling the cavity. If the decay is too large for a successful filling to be completed, then we may recommend extracting the tooth. In instances such as this, we often recommend placing a spacer to prevent the child’s remaining teeth from shifting and closing the gap where the baby tooth was removed. We love talking to children about dentistry because they tend to be very curious about their teeth!